A long first post for my re-jigged blog! I read five books (and some short stories) whilst we were in Portugal this year – all of which I very much enjoyed. When I was thinking about what to write about them I initially thought they were quite different books but actually there is an unintentional thread of crime going through each them (all be it a very fine thread in one). This is one of the books I had been saving up for my holiday. Pre-ordered and stacked tantalisingly in the living room to be taken away. My brother Andy bought me the first in this series a while ago completely on a whim and I’ve really enjoyed the whole lot so far. It just dropped on my doormat and by the next day it was finished and I’d ordered the second one both for me and one for Andy. I quite appreciated that I came into these books without really knowing what they were about and I think that I’d like to keep it that way for anyone who’s new to the series so I’ll be quite vague if that’s ok? This is the fourth book featuring the character of Peter Grant, an police officer in modern day London. He’s also a trainee wizard. This may seem quite a revelation regarding the whole ‘keeping it vague’ thing, but it does say it on the book sleeve and that’s pretty much all I’ll give away. The supernatural world is expertly woven into the mundane and acts as a brilliant way to see crime from a different angle, keeping the stories fresh and open to absolutely anything happening. The best thing is, it all seems completely plausible. I always think that the mark of a good book in a series is making you want to re-read the previous ones. This certainly did that. There were quite a few moments where I felt it was building up to to something and I was churning through the book without getting there, but when it did get there it was worth it. Most of the family read it whilst we were away and there were a few comments about how it comes across as a bridging novel between the others. I can see why they thought that – like I said, there was a lot of build up, and I don’t think it could be a stand alone story, but I do think it was more than just a connection. I wasn’t disappointed by it at all and I’m really looking forward to seeing where it goes with the next instalment. Loved it. Neil Gaiman has a wonderful way of writing things that stick in your head and come back to you without any notice. He makes you continue to try and work things out, come to startling realisations and start to doubt what you think. This was no exception. This was my other book that had waited for Portugal to be read. I kept picking it up and stroking it, especially as it has a matt dust cover and although you aren’t supposed to judge and all that, it’s nice when they make an effort. We’ve taken Gaiman books away for the past couple of years and each time we’ve taken them they’ve come back in pieces as the spine glue has melted in the sun. 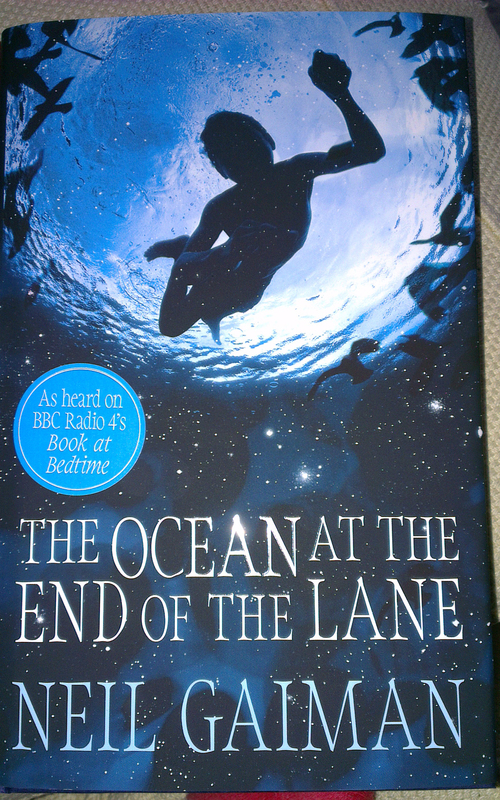 This time it didn’t happen as we had the hardback – our very first brand new, first edition Neil Gaiman book on holiday. Again, I’m not going to give a run-down of the plot, that would spoil it, needless to say this is a story about remembering a childhood. It has fantasy and terror and warmth and safety. It’s always said that if a writer gets the everyday things right, the fantasy simply slots in. Gaiman’s a master of this and of course this is exactly what he’s done. It’s not as long or intricate as some of his previous novels and there were moments when I wasn’t sure who the target audience were. Sometimes it seemed like a book about children, for children, and then suddenly smacked you in the face with something very adult. Regardless of some pigeon-holed audience however, I read this in one sitting and was completely absorbed in this world. It won’t be the book I recommend as the first Neil Gaiman book that someone should read (that might go to American Gods or one of the anthologies), but it’s definitely not one to miss out and perfect for the summer. More books that I’ve been waiting to read but this time it was because I hadn’t got round to it. The Rebus series was recommended to me by @AhcomeonnowTed on Twitter. We met (on Twitter) when we were taking part in the Jonathan Ross book club and I asked if he had any suggestions when I’d run out of things to read. There are a lot of Rebus books and I wasn’t sure where to start but I found this volume with the first three novels in, bought it excitedly and then didn’t get round to reading it. In my defence I mostly read in the school holidays and I have spent the past few years doing my Masters degree. Anyway, three books in one I took it on holiday. I like detectives, reading and telly ones. I love most things that are sponsored by Viking River Cruises on ITV and I’m unnecessarily excited at a new series of ‘Death In Paradise’ (Howard’s Grandma calls it ‘Murder On The Beach’ though and we much prefer that). I was looking forward to discovering a new detective (if I’ve seen any of the TV Rebus it’s been a long time since) and these books did the trick. Gritty, Edinburgh, classic detective and at times seemingly clichéd. He’s divorced, grumpy, bit of a maverick, he’s constantly giving up smoking and he likes a drink. Everything’s there. I had to stop myself from criticising for this though. The first one was published in 1987 and this means that actually most of those other grumpy, drinky, smokey detectives are probably copying him and it’s not clichéd at all. There were plenty of twists to keep me guessing and the pace is perfect. I’d worried about three books about the same character getting a bit much on holiday but each one is quite different and kept fresh. The first gives an insight into the background of Rebus, by the second there’s a familiarity that feels good to get back to and I was interested to see what he’d been up to. 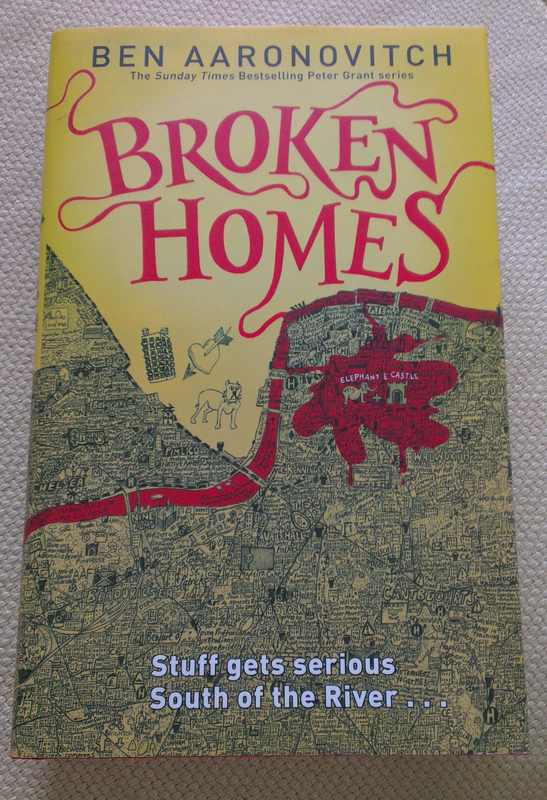 The third book takes him out of Edinburgh and into London, a move which I really enjoyed. I’m definitely going to read more of these and I’ve bought the next two omnibus editions second hand already. It might take me a while to get to them and I might not go for three in a row but I want to see what happens next! I whacked these on the tablet as they’re free and brilliant. I’ve read them before and I’ll read them again. I’ve linked to the books on the Guardian bookshop as I’m pretty sure they pay tax n ting, other book sellers are available.